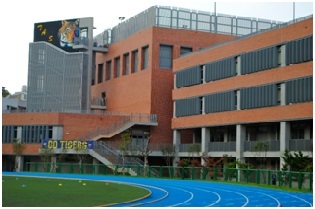 Taipei American School (TAS) is an independent coeducational day school that offers an American based educational programs from pre-kindergarten (KA) to grade 12 for students from the expatriate community in Taipei. The academic, athletic, performing arts, extracurricular and college placement programs are excellent, as is the facilities for students, faculty and all members of the TAS community. TAS benefits from the synergy created by an outstanding faculty and staff, students who are ready to learn, supportive and committed parents, and a Board of Directors that keep student learning at the center of its discussions. The Director of IT is a creative and dynamic leader charged with developing and implementing a strategic vision in all areas of technology for TAS. The Director will facilitate the integration of digital tools and best practices into curriculum and administrative systems. 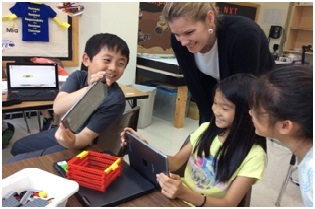 Both a big picture thinker and a hands-on implementer, the Director of IT engages with administrators, educators, and support personnel, parents, and students to extend responsible and creative use of technology. The Director of IT must be a strategic thinker with strong communication, organization, and interpersonal skills, as well as the enthusiasm and credibility to create and sustain instructional momentum in the appropriate use of technology in the school’s curriculum and instruction. The Director oversees the IT Department and guides, supports, mentors, monitors, and evaluates technology team members to ensure that each serves as a strong leader and creates an environment of shared knowledge and purpose. 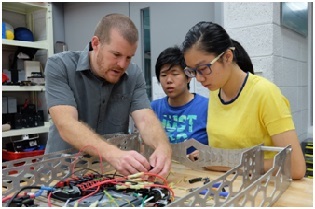 The Director oversees faculty and staff learning opportunities to meet diverse needs relating to integrating technology into academic programming. The Director must clearly define the mission of the IT Department to ensure all members are unified toward a common goal. The Director of IT works with educational and other school administrators to ensure that the technology program and services meet educational needs as well as communication needs of the schools and programs. The Director of IT also works with other administrators, such as the Director of Human Resources, the Controller, and the Chief Administrative Officer for Business and Operations to ensure that their technology systems and needs are being addressed and supported. The Director of IT serves on the Leadership Team. Essential duties and responsibilities of this position include the following. Employee in this position performs some or all of the following tasks. Other duties may be assigned. Oversee the delegated responsibility of isolating, researching, and resolving complex problems or issues for critical applications. The successful candidate will be offered an initial 2-year contract with annual renewal opportunity upon successful completion. TAS has retained Search Associates consultant Bridget McNamer to conduct the initial phases of this search. Interested candidates should send an application at the earliest possible time but no later than October 30, 2016. Applications will be accepted in electronic form only. Qualified candidates are asked to send all application materials in a single .pdf file, of 4 MB or less, to bmcnamer@searchassociates.com with a copy to jdoxey@searchassociates.com. Candidates should note that, in the event an outstanding applicant is identified early in the search process, TAS reserves the right to bring the search to an early close. For this reason it is very important that interested candidates apply at the earliest appropriate time. Please refer to the school’s website: www.tas.edu.tw for further information and pictures.